What are you reading to send out 2017? What great books are on your TBR pile to start 2018 off right? 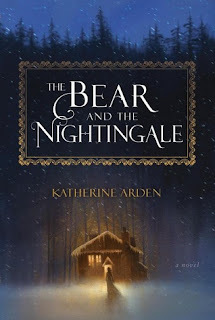 I'm in the middle of The Bear and the Nightingale by Katherine Arden (Del Ray Books, January 2017). It's an atmospheric fairy-tale-esque fantasy set in Northern Russia and I'm digging it. It's not a quick read, but one I can sink my teeth into, and I love how it's pitting old religions and superstitions against new ones and how it examines feminism. I'm also in the middle of Beartown by Fredrik Backman (Simon & Schuster, April 2017), which is another read just perfect for these winter months. I had started it weeks ago but my library copy was due back. Luckily, my library ebook came in right before my vacation - score! This Swedish import deals with a teen hockey team that might be their backwater town's last hope for prosperity. It's a great read heading into the 2018 Winter Olympics, too! 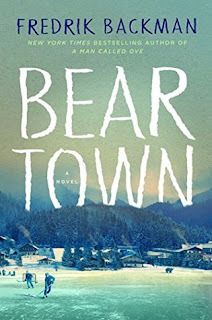 So many bears... but there are also a few other things high up on my to-read list. 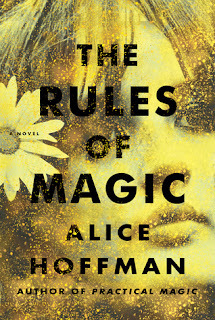 Our next Family Book Club pick is The Rules of Magic by Alice Hoffman (Simon & Schuster, October 2017), prequel to her popular book Practical Magic (which I have not read). Set in the 1960s and about witches, from what I gather. We'll see! 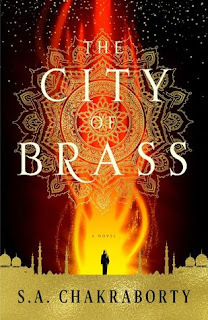 And because you can never have enough fantasy in the wintertime, I've also got The City of Brass by S. A. Chakraborty (Harper Voyager, November 2017) on my stack. This was my Book of the Month pick for December and I started the very beginning and I'm in love with it already. Great voice, strong female lead... I'm in. Here's to a week off for reading! I'd love to know what's on your TBR pile right now!